Jerry Brown strikes down another round of anti-vaping legislation. For now – at least until Sen. Steve Glazer or another one of his Democratic peers pen another bill to restrict smoking and vaping at California beaches and parks – individuals can still enjoy their vice of choice at outdoor public venues. A Democrat, Brown has voted down a series of similar bills over the past three years. In a state that has been plagued by recent wildfires, Glazer cited the risks of sparking additional fires, plus the potential of public health concerns and the unsightly mess of litter in nature as the main reasons for his actions, according to LATimes.com. In twin bills, Glaser and Democratic Assemblyman Marc Levin introduced legislation that would have banned smoking tobacco and marijuana and the use of e-cigarettes at parks and beaches but allowed parks officials to designate smoking areas. Levin’s limited proposal called for a smoking and vaping ban in close proximity to state park picnic areas. The narrow focus failed to clear the governor’s desk, LATimes.com reported. Brown said the 2016 bills were “too broad” and “punitive.” In 2017, the historic four-term governor worried the proposals would cause “coercive power of government,” according to the Sacramento Bee. If this year’s twin bills would have passed, they would have carried a fine of $25, which was lowered from previous proposals. Brown, obviously, did not see this year’s version as much of a compromise, even with additional guidelines. It’ll be interesting to see what the Dems come up with next year to put before Brown. 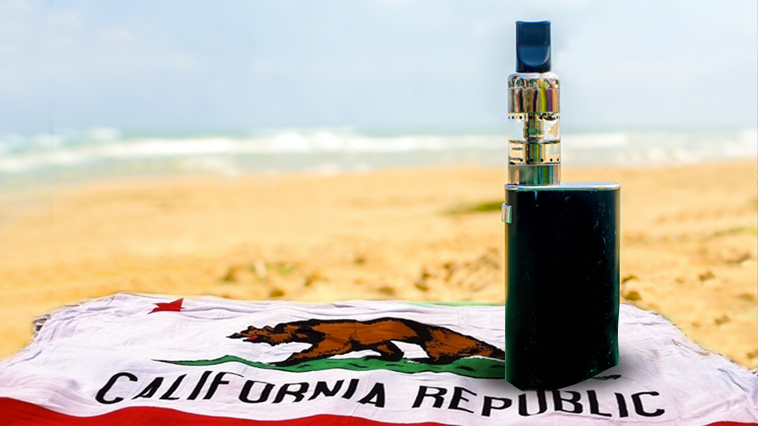 Want to keep up with the latest vaping legislation news like this California beach vape ban? Check out our News page and sign up for mail list so you never miss another story!